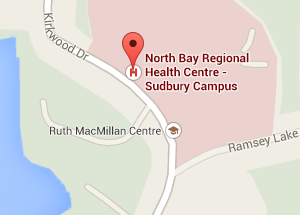 The North Bay Regional Health Centre requires an Informed Consent for the transfusion of blood and blood products. Your physician will discuss treatment options with you. The pamphlet “Blood Transfusion Information” is available from your physician or the nursing staff. Please take time to read this information. If you do not wish to receive blood or blood products for religious or other reasons you must notify your physician and the nursing staff. You will be required to sign a refusal form which will be kept on file. Questions or concerns about the benefits and risks of blood transfusions can best be answered by your attending physician. Generally it is not possible for your family or friends to donate blood for you. Should you wish to donate blood for your own pre-planned surgery you should discuss this with your physician or the Pre-Admission Clinic nurse ahead of time. Good communication is an important part of the treatment and caring process. To keep everyone informed, it is important to select one responsible member of your family, or a close friend, to act as your spokesperson. Tell your doctor and nurse who that person is so that information about your condition can be conveyed to them. Patients who require assistance from family members can assign a family member to the role of caregiver/spokesperson upon admission. The caregiver/spokesperson will be allowed access outside of regular visiting hours as determined through discussion with the Unit Leader. Caregivers/spokespersons MUST report to the nursing station upon their arrival on the unit, outside of visiting hours, and MUST comply with requests to leave the patient during treatment and care by staff i.e., dressing changes, status checks, etc. During visiting hours, caregivers/spokespersons are considered as one of two visitors allowed per patient. To safeguard you from accident, any electrical devices being brought into the hospital must be inspected by the Engineering Department prior to use. When you hear the fire alarm please return to your room. Do not take the elevator. Fire drills are conducted on a monthly basis. 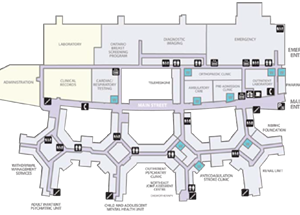 Should evacuation become necessary, hospital staff will assist or direct you to the appropriate location. Flowers are not permitted in the Critical Care Unit and Neonatal Intensive Care Unit. Many individuals are allergic to latex, the material used in the usual type of balloon. Latex balloons are not permitted; however, Mylar (metallic paper) balloons are allowed. 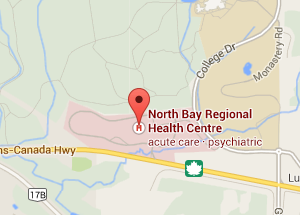 The North Bay Regional Health Centre supports a harassment free environment. Abuse of any kind will not be tolerated; this includes verbal abuse. In keeping with the Ontario Human Rights Code, NBRHC believes that every person has a right to be free from harassment. The North Bay Regional Health Centre also recognizes and affirms its commitment to an environment that is free from abuse of any nature for patients, the public and its staff. Inappropriate verbal comments or physical actions should be reported so that an investigation can be undertaken. It is important that visitors be free from colds and other infectious diseases. Visitors are asked to rinse their hands with the alcohol rinse located outside each patient room, and at the entrance to each department. As a patient, also be sure to wash your hands well after using the bathroom, and each time you leave or enter your room. If you require isolation precautions, your visitors may be limited. Staff and visitors will be required to take special precautions to prevent the spread of infections. Your visitors should report to the nurse’s desk for instructions before they enter your room. Visitors should not visit room to room. Because of the recent increase in antibiotic resistant germs worldwide, we have developed a screening process for all newly admitted patients. If you have been a patient in any hospital in the last six months, the nurse will perform a swab test. 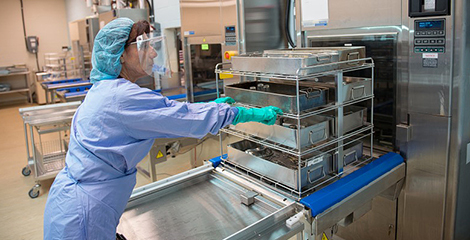 This has been effective in keeping these germs controlled or eliminated in the hospital environment. To support the provincial government’s new public reporting regime and to continue to enhance our quality and safety program, the North Bay Regional Health Centre will begin to report a number of infection rates as they relate to health care associated infections. To see our rates and learn more about each patient indicator please visit our Quality & Safety Indicators section. It is advisable that you do not leave the nursing unit for any reason unless you are going for tests. If you have an intravenous pump and you go outside in extreme temperatures (cold or hot) the functioning of the pump may be affected. The North Bay Regional Health Centre believes patients and staff are entitled to an environment free of harassment and aggression. We encourage mutual respect at all times. Physical or verbal abuse of staff, physicians, patients, volunteers, family members or visitors will not be tolerated. We believe in the dignity, independence, freedom and right of a patient to make his/her own decisions. The decision to use a physical restraint must weigh the infringement of a patient’s rights against the risk of the patient causing harm to self or others. Further information about the Hospital’s Philosophy of Least Restraint is available at the nurse’s desk. Uniformed security staff is on site 24 hours per day. Please view our poster: “Be Air Aware” in the download box above. As we move toward a total smoke free property, effective January 29, 2011, the hospital will only allow inpatients to smoke using designated smoking areas on hospital owned and solely leased properties. Outpatients, visitors, employees, medical and credentialed professional staff, volunteers, students and contractors will not be allowed to smoke on any hospital properties, including in their personal vehicles. All physicians and staff have photo identification. Volunteers are identifiable by their name badges. If you do not know who someone is, ask to check their identification. Upon admission, the patient will be asked to sign a release of liability form. The management and staff of the North Bay Regional Health Centre will not assume any liability for the loss or damage to personal belongings or monies (except those placed in safekeeping) brought to the hospital by you or by others on your behalf. Please leave jewelry and valuables at home. It is suggested that not more than $20 be kept at the bedside. If you notice that you have lost a personal item, notify the nursing staff immediately.